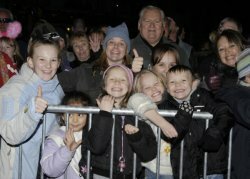 Weston Carnival dates back to early as 1871 and is a tradition which has attracted hundreds of thousands of visitors annually. Spectators travel from all over the country to witness this extravaganza of music, action and glittering lights. With the smell of excitement in the air (mixed with hot dogs and toffee apples!) the procession works its way around Weston-super-mare. This year it will be on Friday 8th November. Why not make a weekend of it by staying in one of the many hotels, quaint guest houses or b&b’s? Many of the entrants have been working hard on their floats and fundraising for the last 12 months to create an evening of family fun, entertainment, music, action and glittering lights for all the hundreds of thousands of spectators that visit or live locally. 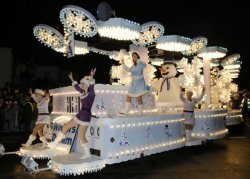 Some floats are up to 100ft long, 11ft wide and 17ft 6ins high, using thousands of light bulbs to illuminate they make the 2 hour long procession a true night to remember! Even though this is a free event there are many local charities involved with the evening and they will be collecting donations by way of coin collection, so make sure you bring any loose change you may have burning a hole in your pockets or down the back of your sofa’s and just be prepared to be entertained and amazed!